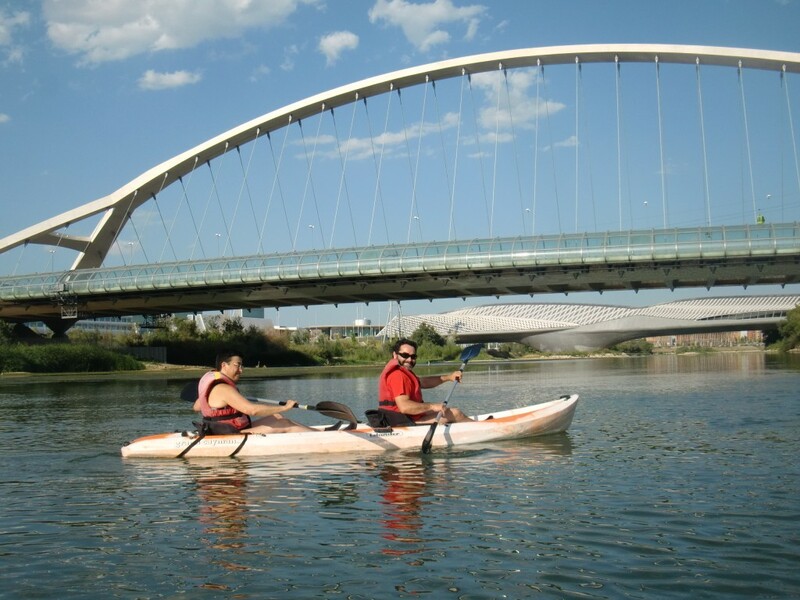 Kayaking in Zaragoza: The best sights of Ebro’s capital… and one of its funniest activities! Zaragoza has a wide touristic offer including historical monuments since the roman ages, an active cultural life and interesting “tapas” gastronomy… just as many other Spanish cities do! 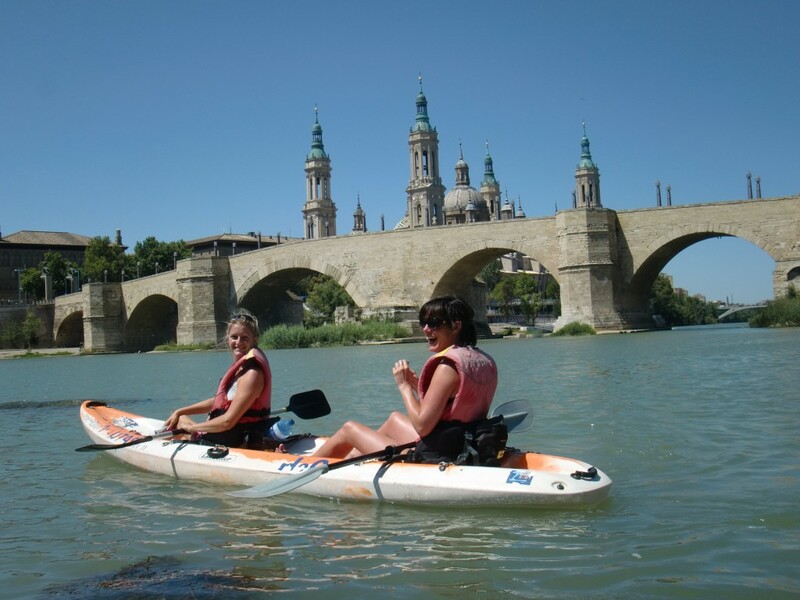 It is the Ebro River who makes “its capital” unique, and paddling on kayaks through Zaragoza’s historical center is definitely an unforgettable experience which combines monumental sights with great fun for everybody…. From the medieval Stone Bridge, whose foundations are dated from the roman age, to the modern EXPO 2008 site, the History of the city is written along its singular river. We are willing to translate it for you, explaining where the crossing boat or the wooden footbridge laid before… or which of the 9 bridges passed by in your paddling trip is less prepared to stand a flood. You can add as an individual to an scheduled descent, or make your reservation for a group (from a minimum of 8 people, up to 100 or more people;-) choosing date and timetable. 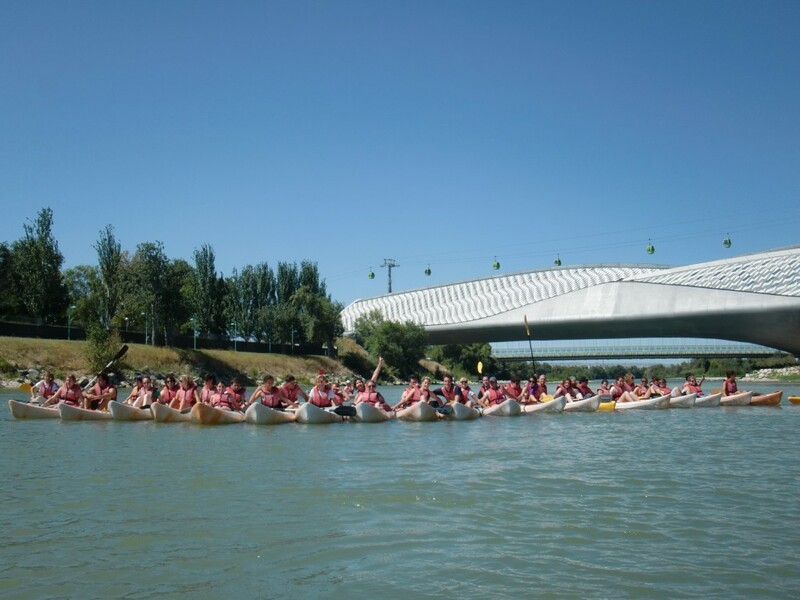 2h long “Bridges of Zaragoza” starts at the “Parque del Agua Luis Buñuel” and desembark at “Azud de Vadorrey” dock. 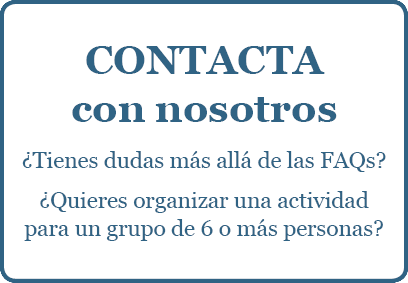 It has a prize of 27,50€ for adults, 20€ students under 25 y.o. and 17,50€ for kids under 16 years old. Groups of 8 or more people might also book these trips any day of the year, please contact us to check our availability on the requested dates (additional exclusivity fees may apply depending on the size of the group). Los sotos y mejanas del meandro de Ranillas son una oportunidad de disfrutar de la Naturaleza sin salir de Zaragoza. 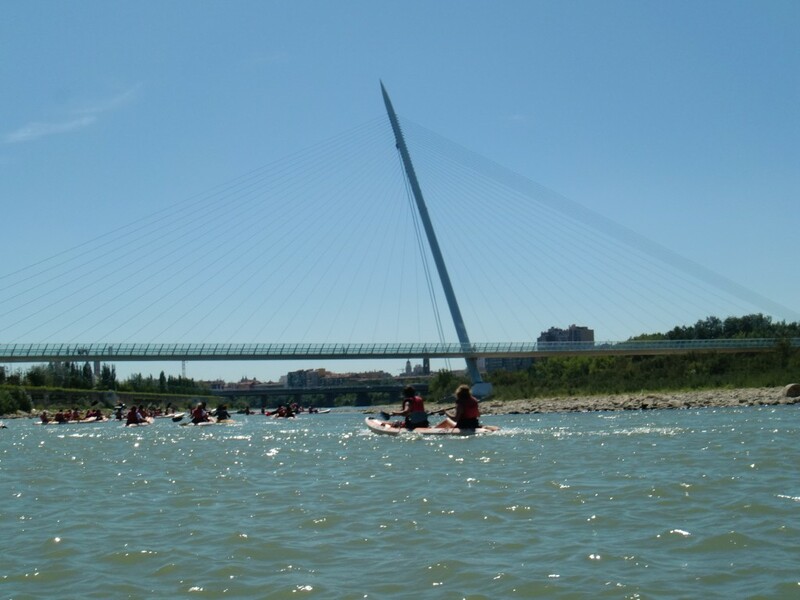 3h30′ long “Fluvial conquering of Zaragoza” starts at Playa de Juslibol, upstream Ranillas Meander, to enjoy the natural values of its riverine forest and its definetly bird-friendly island. 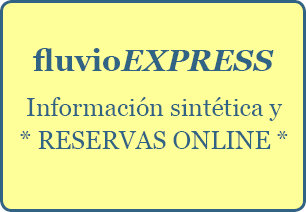 Fees are 35€ per adult, 25€ per student under 25 y.o. and 20€ per grumet under 16. Groups of 6 or more people can book this trip on demand any day of the week, both with morning or afternoon schedule (additional exclusivity fees may apply depending on the size of the group). 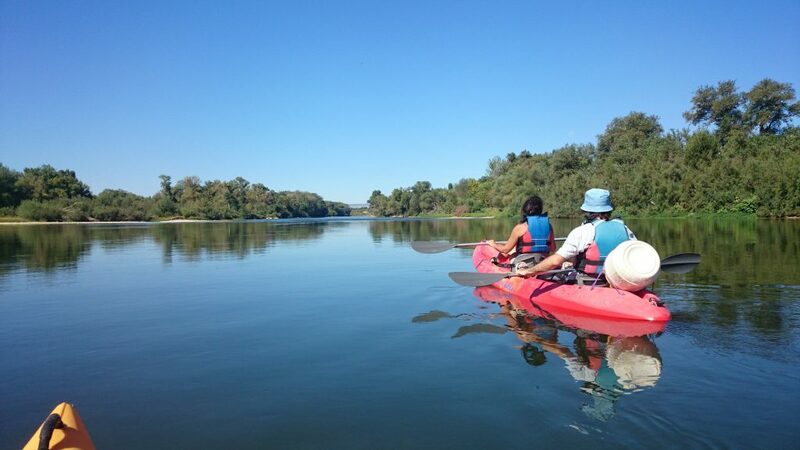 If you want to paddle through a wilder landscape, check out our trips along the “Escarpes del Ebro y El Castellar” cliffs and forests in this section of the web.